Take the unique, friendly characteristics of TerraTrike and morph it into a sport-touring trike, and you’ve got the Sportster. Take the design ideas from the new TerraTrike Gran Tourismo and focus on the sportier aspects. Build the frame out of aluminum, size the rear wheel up to 26″ and you’ve got the TerraTrike Sportster. This trike isn’t your exotic Corvette or Jag-u-ar, but more your 4-door Dodge Charger. 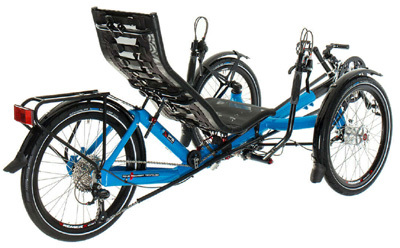 It is built for people who want a fast trike but it hasn’t let go of life’s practicalities. 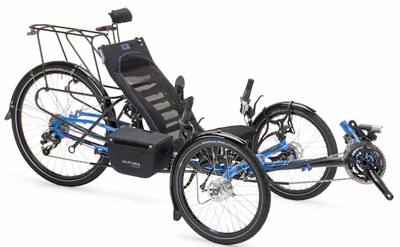 It offers easier access than most sport trikes and more adjustability than any of its competitors. 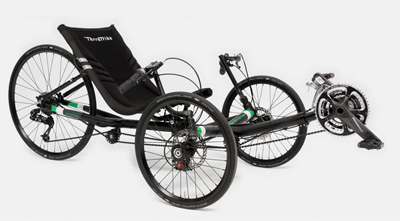 Head to head against the Expedition it is hard to beat any Catrike in value, but the base spec Sportster beats it in price and cargo capacity. 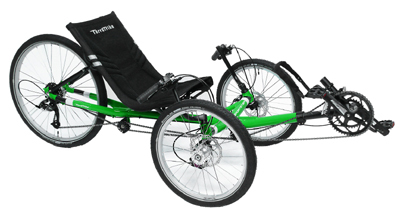 It is mainly those who connect best with TT’s approach to the seat and handlebars who need to see this trike. To us, it is important to represent the range of choices. Every rider’s individual needs are paramount to how we sell. The Sportster comes in three spec levels, all using front and rear derailers. 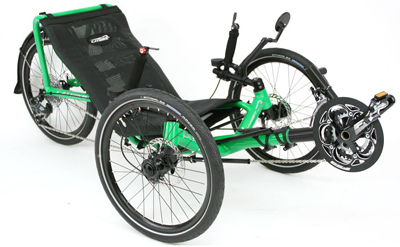 Performance redefined….The Sportster brings out the athlete in all of us and is the culmination of 20 years of experience in trike design. Every detail of this trike has been finely calibrated so that the Sportster accelerates effortlessly, maintains high speeds with ease, and powers through tight corners. The Sportster capitalizes on its ultra lightweight aluminum frame and will allow you to move faster under your own power than you ever thought possible. While it is undoubtedly a speed enthusiast’s machine, the Sportster is notable for its perfect blend of performance and usability. It features a balanced midline seat height for sleek comfort and can be customized with many of our accessories and add-ons, catering to all styles of riding. At the end of the day, the Sportster is a complete thrill to ride and will be sure to keep you grinning as you blast down the path. The Sportster is responsive, lightweight, and delightfully fast. By utilizing a 6000 series aluminum frame, direct steering set-up, and a standard 26″ rear wheel, the Sportster is primed out of the gate to deliver a high-performance ride. 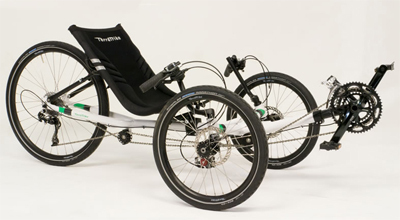 That is pretty darn tight, especially for a trike with a 26″ rear wheel. A nice, wide range of gears with plenty on the high end. If you need lower gears that is easily done without sacrificing the high gears. 10 cogs in the back, with a wide range of gears. A great tire for touring, not optimized for speed but not bad for a touring tire.